Thousands of Google staff across the world have staged a series of walkouts in protest at claims of sexual harassment, gender inequality and systemic racism. Demonstrations at the company’s offices around the world began at 11.10am in Tokyo and took place at the same time in other time zones. They follow allegations sexual misconduct made against senior executives which organisers say are the most high-profile examples of “thousands” of similar cases across the company. An image from the Singapore hub showed at least 100 staff protesting. 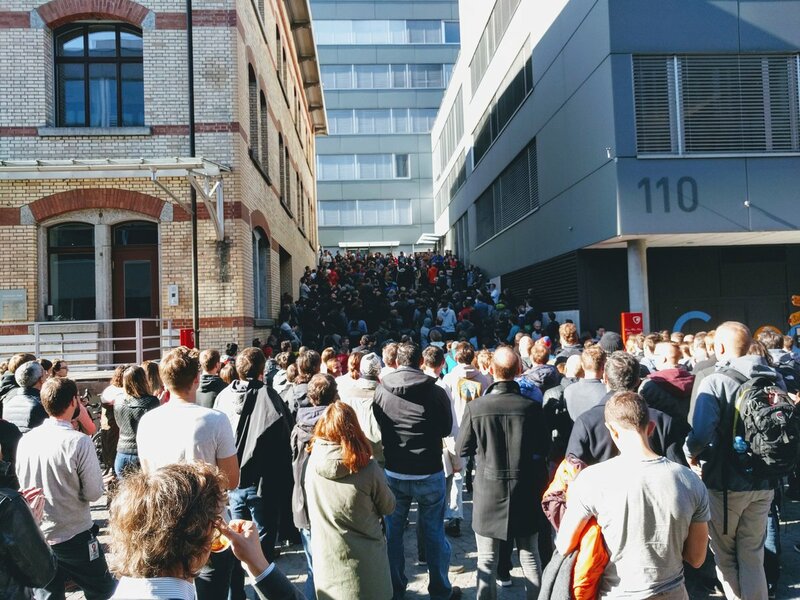 Greater numbers appeared on the streets outside Google’s Swiss office in Zurich, and there were protests in the Israeli city of Haifa and Berlin. Google staff also walked out of the London and Dublin offices. In London, the majority of employees left their desks and occupied the main auditorium in the company’s King’s Cross office. Once the room was filled, some gathered outside, as did a separate contingent of employees from the company’s AI subsidiary, DeepMind, prompting some confusion from those who did not recognise their corporate siblings. The Walkout for Real Change protest comes a week after it emerged that Google gave a $90m (£70m) severance package to Andy Rubin, the creator of the Android mobile phone software, but concealed details of a sexual misconduct allegation that triggered his departure. Rubin has denied the allegations. Sundar Pichai, Google’s chief executive, insisted that the company had taken a “hard line” “hard line” over sexual misconduct and would support employees who took part in the protests. Campaigners have posted a list of five demands, including an end to pay and opportunity inequality as well as greater transparency about sexual harassment. The New York Times, which broke the Rubin story, also reported allegations of sexual misconduct against a number of other Google executives. These included Richard DeVaul, a director at the Google-affiliated lab that created far-flung projects such as self-driving cars and internet-beaming balloons. DeVaul had remained at the X lab after allegations surfaced about him a few years ago. He resigned on Tuesday without a severance package. The email did not mention the reported incidents involving Rubin, DeVaul or anyone else, but Pichai did not dispute the veracity of the New York Times story. Thursday’s protest will be a test of how effectively Pichai has managed to placate staff anger over the issue. Google and its parent company, Alphabet, employ 94,000 people worldwide. Jackie Speier, a Silicon Valley congresswoman, tweeted her support of the walkout using the #MeToo hashtag, which has become a battle cry for women fighting sexual misconduct. Speier represents an affluent district where many Google employees live, the Associated Press reported.